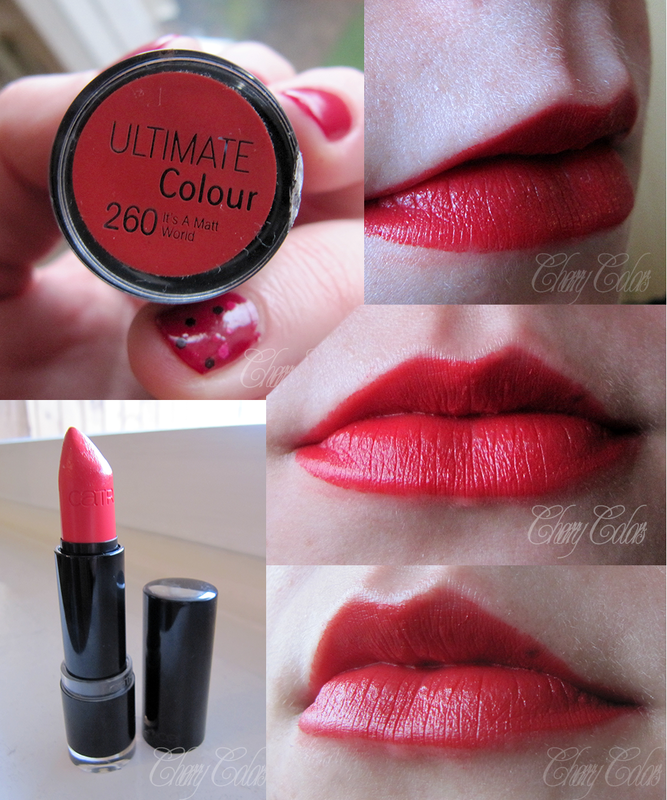 Catrice lipstick in 260 it's a matte world - Cherry Colors - Cosmetics Heaven! I am very late with this post. 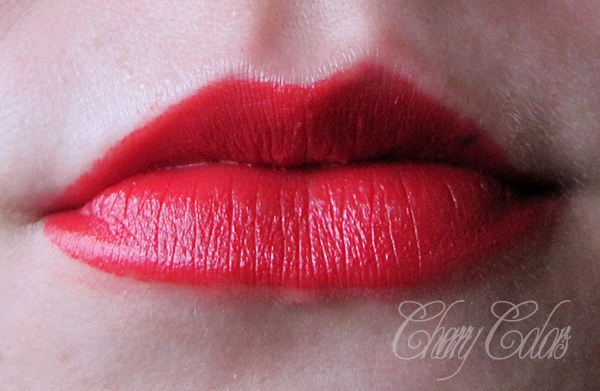 I got this beautiful (now discontinued) lipstick back in January, as a birthday gift. And I fell in love with it the moment I tried it on my lips. Beautiful! 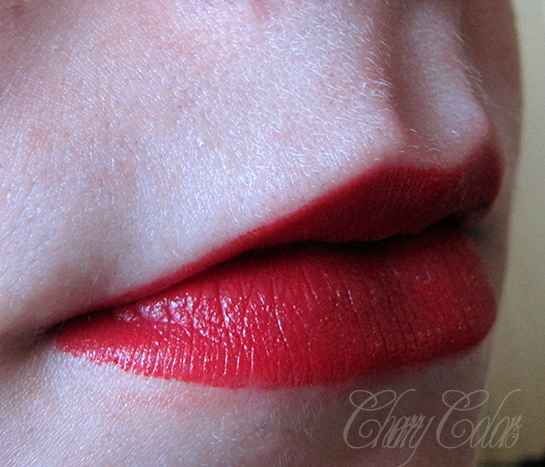 So, I am leaving you with the pictures of some swatches because a review this late wouldn't help anyone. The texture is great, applies nicely and smooth. 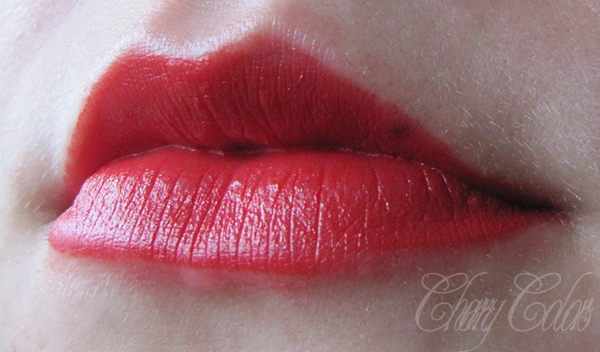 Dries up the lips a tiny bit, but it stays on forever! LOVE! How do you like it? Do you have anything similar?